Shopping mall is located at the North gate of St. Petersburg on the crossroads of the biggest highways - Vyborgskoe shosse and Ring road. This factor makes the shopping mall accessible not only for people from Vyborgskiy, Kalininskiy and Primorskiy districts but also for visitors from all parts of St. Petersburg. 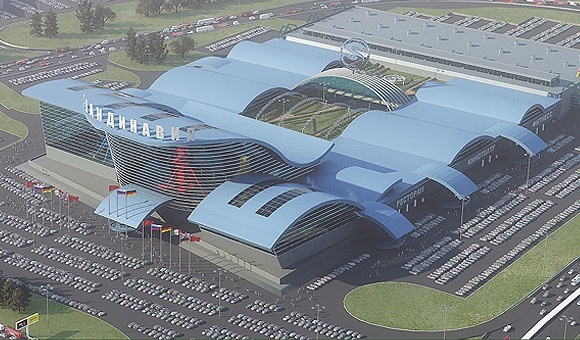 The second section of Skandinavia Shopping Mall, 146,100 sq m. in total area will include a stores gallery, a multiplex cinema, a skating rink, a curling hall, an amusement park, a food court and much more. The first project phase taken into use in June 2011 consists of different stores including famous Finnish hypermarket Prisma.